Is high-resolution audio really as good as it sounds? Neil Young is pulling back the curtain on Pono, his long-awaited music system designed for audiophiles. The wedge-shaped music player, which Young first showed off on Late Night with David Letterman in 2012, will cost $400 and includes 128 GB of storage for high-quality music files. A press release published by Computer Audiophile says the player can store between 100 and 500 digital albums, depending on exact resolution and length. Those albums will come from Pono's online store, with DRM-free music from “major labels and prominent independent labels,” according to the company. Users will then load their music onto the device with Pono's desktop software. It's unclear how much an album will cost. Pono's press release doesn't dive into details on audio quality and merely promises “studio master-quality digital music at the highest audio fidelity possible.” But a previous Rolling Stone report suggests the player will support 192 kHz / 24-bit sound. So far, high-quality audio hasn't caught on. It's an expensive hobby, and most consumers will prefer the convenience of MP3s over the richness of studio-quality sound. The simple fact that Pono requires a PC connection for loading and managing music puts it far behind smartphones and tablets in terms of convenience. But that doesn't mean audiophiles doesn't deserve a portable music system that caters to their interests, so hopefully Young's star power and dedication can make Pono viable in the long run. 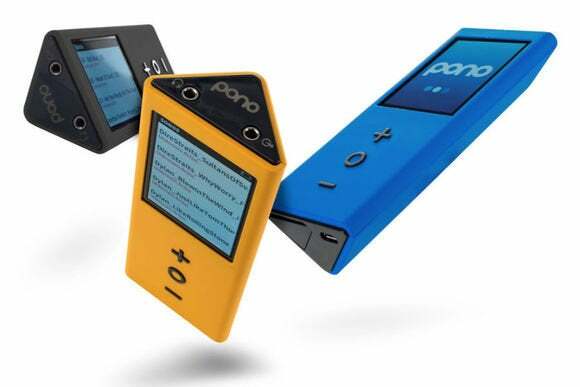 Pono hasn't announced a release date for the music player, but will launch a Kickstarter campaign on March 12, with a discount on pre-orders.